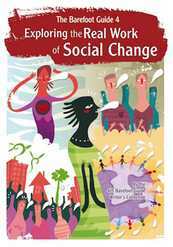 This is a book about social change practices from many countries. It contains a variety of stories, analyses, and ideas, with many poems and illustrations to illuminate and enhance the text. For activists, civil society leaders, practitioners and students, this is not a book of easy answers, but one of experiences, learnings and questions, all asking “What is the real work of social change?” We have not attempted to provide “best practice models”, but rather something to be learned from, to deepen our questions, and to be more thoughtful in our practice. 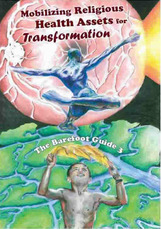 The Barefoot Guide 4 was individually and collectively written by almost 40 social change activists, leaders and practitioners from 19 countries and represents a fascinating diversity of experiences and insights. A practical, do-it-yourself guide for leaders and facilitators wanting to help organisations to function and to develop in more healthy, human and effective ways as they strive to make their contributions to a more humane society. The guide, with its supporting website, includes tried and tested concepts, approaches, stories and activities. It's purpose is to help stimulate and enrich the practice of anyone supporting organisations and social movements in their challenges of working, learning, growing and changing to meet the needs of our complex world. Although it is aimed at leaders and facilitators of civil society organisations, we hope it will be useful to anyone interested in fostering healthy human organisation in any sphere of life. The Barefoot Guide 2 is a free, downloadable and practical resource for leaders, facilitators and practitioners involved in social change who want to improve and enrich their learning processes. 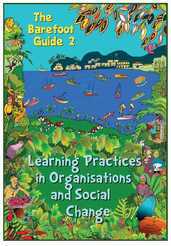 But this is not just another book on organisational learning and social change. It is different in many ways. It is different in that it was not written by one person. Neither is it a collection of essays written by different people. This book is the joint effort of a group of development practitioners from across the globe. We have created something that will help us and others to start, and continue, the journey towards learning and social change. We (the writers) are all passionate about learning and have brought our different experience and expertise to the book. It includes topics as diverse as community mobilising and development, adult learning, funding, evaluation, facilitation, and creative writing. Health, freedom and social justice cannot be separated. Anyone who loves a neighborhood, a nation or a small planet enough to work for its future, inevitably measures success by its health and well-being. How long do the neighbors live, and with what degree of freedom from the burden of illness? Do they have water, food, shelter and access to medical services? Martin Luther King, who fought and died for political rights, could say that “of all the forms of inequality, injustice in healthcare is the most shocking and inhumane.” Health is one way to describe our capacity to be alive and to play our role as members of families and neighborhoods, indeed as citizens. But how does one choose life for the community? How do we as leaders make sure that our lives are about life and health? The journey this Barefoot Guide will take you on is a response to those questions! The connection between religion and public health is important. This is not just an opinion but a fact. For example in Africa, depending on the country, anything between 20-70% of public healthcare is delivered through religious institutions or groups. This BFG focuses on understanding and working with that reality. Religious assets for health are everywhere, they matter to a lot of people, and they can be mobilized for the health of all. 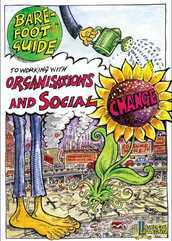 Allan Kaplan presents a radically new approach to the understanding of organisations and communities, and to the practice of social development. His approach eschews the conventional instrumental or technicist way in favour of a methodology which embraces the full complexity and ambiguity of social transformation. This book, drawn from intensive reflection on years of practice in the field of development, is about the essentials of development practice, underpinned by a fresh perspective on the contested and contentious terrain which marks the passage of development. A succinct description of a developmental practice and the nature of organisation and people required to support it. CDRA has worked since 1987 as colleague, consultant, facilitator and client with hundreds of development practitioners. This workbook is a response to the many requests we have received over the years for a 'toolkit' to make our exercises and methods transparent. But this is not an easy 'how to' manual because our approach relies on both exercises and, more importantly on each practitioner's professional insight, judgement and ability to intervene in the moment. 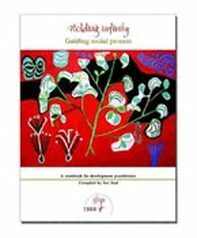 Instead, this workbook outlines a developmental process of readings, reflective challenges, creative exercises and conversations for the reader to undertake with a trusted speaking partner. It is based on the principle that you cannot do with others what you have not been through yourself. Users of this workbook will find that going through this journey will help them to think more about who they are and what they are trying to do, and to see and work with development in more creative and effective ways.. Compiler Sue Soal has been a development practitioner with the CDRA since 1994. She is particularly interested in organisational learning processes and their connection to field practice. The Action-learning Series aims to capture the wealth of development knowledge and experience built up by development fieldworkers. The lessons and case studies, with facilitators' notes, provide an invaluable resource for effective training and facilitating and ongoing learning from experience. Drawn from reflections of development practitioners with years of experience in the field, these books bring a clear focus to these complex issues and provide valuable insights for anyone grappling with these challenges. This book is an introduction to Action Learning. It is a celebration of the validity of everyone's experience as a source of learning that can change the world. The authors invite you to join them on their journey of learning as they draw on many years of experience working in organisations in Southern Africa. They speak as fieldworkers to other fieldworkers they have come to know so well through their work in the field. This book is out of print but photocopies are available.